Every 4th of July we always have something with blueberries....oh, we have the watermelon as well, but the berries are my favorite. Tonight we are having Blueberry Tartlets to start the celebration off with a bang and maybe an extra pound or two! No, this is all good for you! I'm a fan of patriotic desserts - beautiful! Happy 4th, Jann! We love blueberries any way we can get them, Jann. What a lovely way to present them. Happy 4th!! k&s-thanks for stopping by! these little tarts just hit the spot, not very filling. Just the right amount!! T.W. Hope your 4th was grand! Can't wait to see what you birng back from the farm!!! Christine~I am lovinig your new format on your blog. I need to borrow your son do update mine! Hope you are well!! L Vanel~so good of you to stop by! Hope things are going well for you this summer. I need to visit your blog and catch up!! what a perfect little tart...I love the marscapone! gorgeous images too! I recently also played with blueberries and mascarpone for a tart: it looks like we were on the same wavelength. 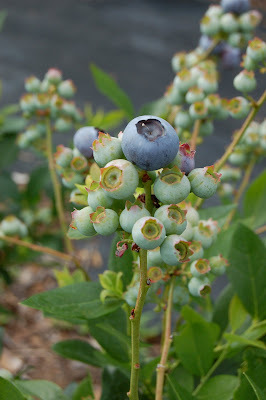 I miss Michigan in August when the blueberries come in. Blueberries and watermelon, love em both but the tarts would have me reaching for them first. I so love blueberries! Watermelon I occasionally see here, but not blueberries. Enjoy for me! I love blueberries and your tart is gorgeous!